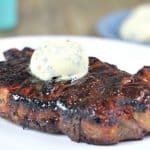 Do you find yourself wishing you had better options for steak, but feel like the time it would take to make an herb butter for steak wouldn’t be worth it? Plus, who wants to make a garlic herb butter for steak that only gets used once? Seems like a lot of work, right? Well, hold onto your hats because this herb butter for steak is super easy and you can make a large batch thanks to my newest trick! This is a sponsored post on behalf of Pampered Chef. All opinions are my own though. It doesn’t matter what time of year it is, our grill is always in use. When we grilled these steaks it was about 40 degrees out. Even when we lived in NY we would grill through the winter. There was always a path through the snow to our grill. 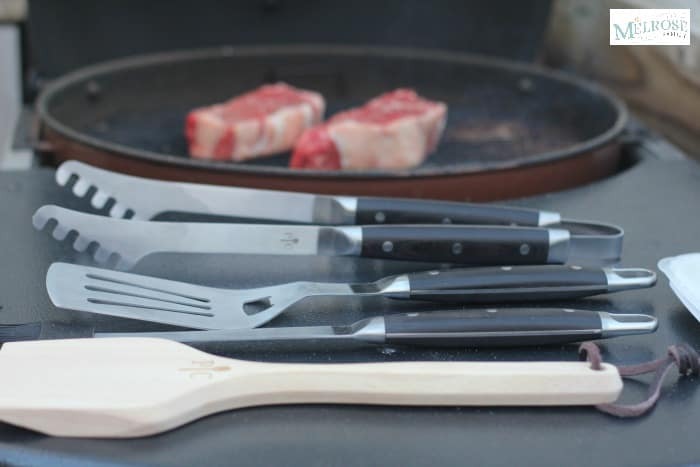 Since we grill so often, and when I say we, I mean my husband, it was important to have proper grilling tools. 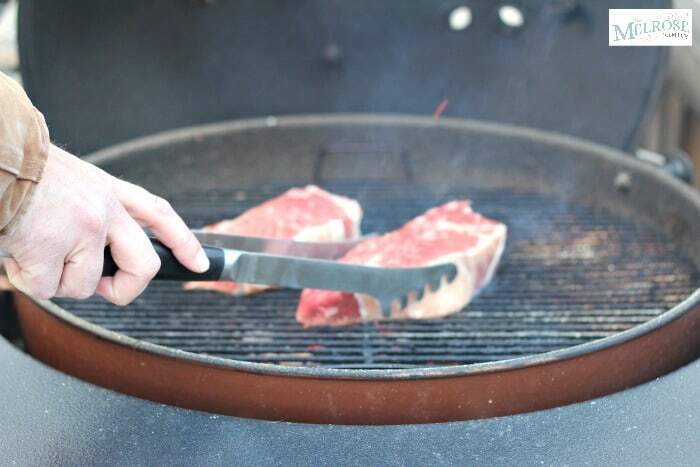 I’ve been told that it can make all the difference in the ability to get the perfect grill marks on a NY Strip Steak because you need to be able to properly flip the steak. I often roll my eyes at comments like these, but I end up caving. I recently received this Pampered Chef grilling tool set and my husband is in love with it. I have to tell you that if they help grill my steak the way that my NY Strip steak was grilled then they are winners in my book for sure! 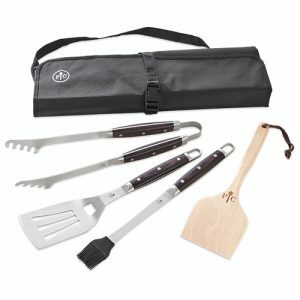 The set includes grill tongs, spatula, basting brush, wooden grill scraper and a tool bag to keep them all organized and protected. Bring on the meat! We are huge steak fans, especially when it is a good cut of meat like these NY Strip steaks. My husband likes to say that the only seasoning you need when you have a good cut of meat is a little salt and pepper. Personally, I love herb butter for steak, but usually I only get it at restaurants. It’s not something we usually make at our house. Luckily, that’s changed because of the Pampered Chef Herb Freezing Tray Set. These Herb Freezing Trays literally make herb butter for steak an absolute cinch. 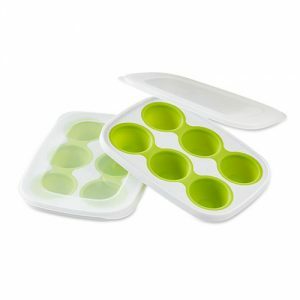 There are six wells in each tray and the flexible, yet sturdy trays make it easy to pop the herb butter for steak out. Plus, there’s a plastic lid so that you can keep it in the refrigerator to use for the next meal that needs herb butter. The Herb Freezing Tray is great for saving fresh herbs. You chopped up the herbs, add them to the well and add a little water or olive oil and then freeze them. When you’re ready to use the herbs, you just defrost them in cool water. Herb butter can use a multitude of herbs. Pick your favorite ones and add it to the butter. Flavoring your butter with a little fresh garlic will turn this herb butter to garlic herb butter in a jiffy. Other great uses for herb butter other than steaks are on a baked potato, grilled corn on the cob, sautéed fresh vegetables, grilled or baked fish and baked sweet potatoes. Some of our favorite herbs to use are rosemary, cilantro, parsley and chives. You can also use sage, oregano or thyme. In order to get the herb butter to spread easily, pop it from the tray and let it sit at room temperature before adding to cooked food. 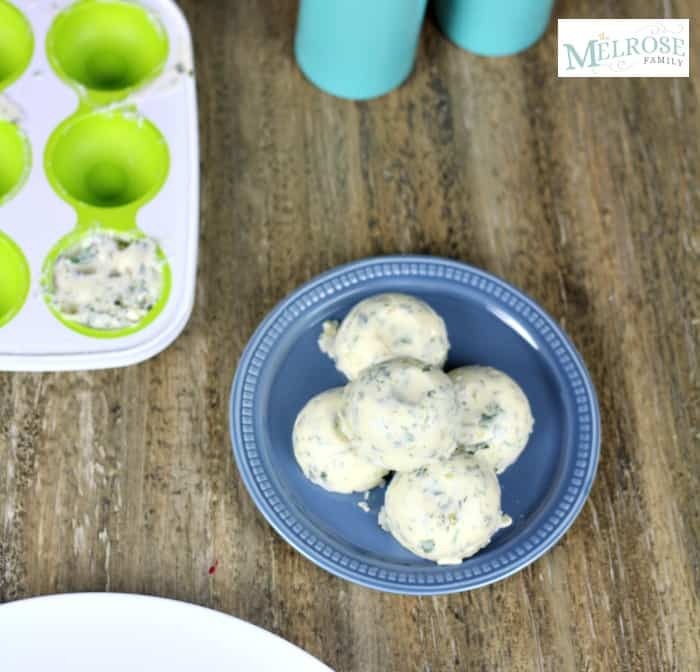 Herb butter made in these Herb Freezer Trays are the also the perfect way to impress your guests for holidays by having individual herb butter served for each guest to add to their food as they see necessary. When you purchase any of these Pampered Chef Tools a 10% donation to World Vision for all of the sales through this Pampered Chef account. This will go specifically to World Vision’s fund for Hurricane Maria relief in Puerto Rico and the Dominican Republic. 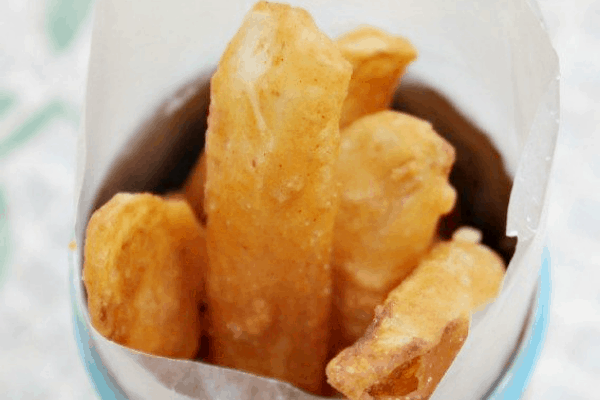 You can find out more about how to use Pampered Chef Tools at Cooking with 7 Kids. You can also find them on Facebook, Pinterest and Instagram. There is nothing quite like melting herb butter running off of a NY Strip Steak. 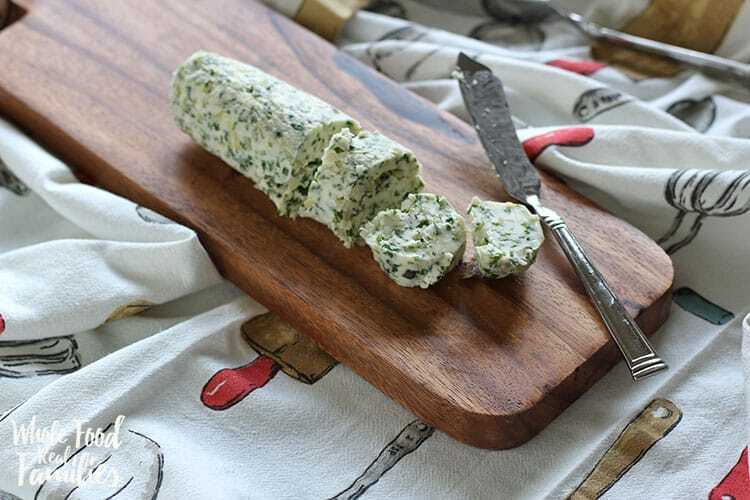 I promise that the herb freezing tray will make this herb butter for steak the easiest herb butter you have ever made. Plus, you’ll love the fact that you can keep the herb butter in the refrigerator for the next time you need something topped with it. 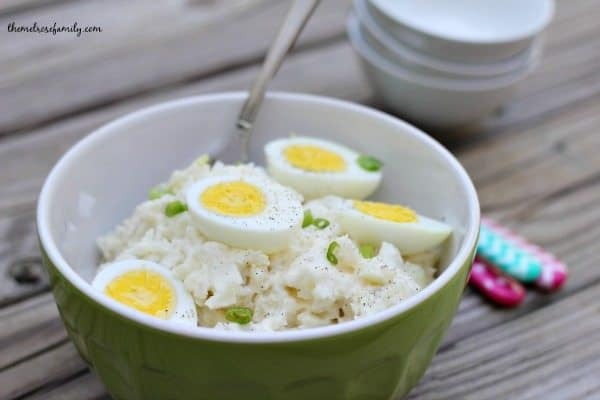 If you like the recipe, please give it a 5 star rating. 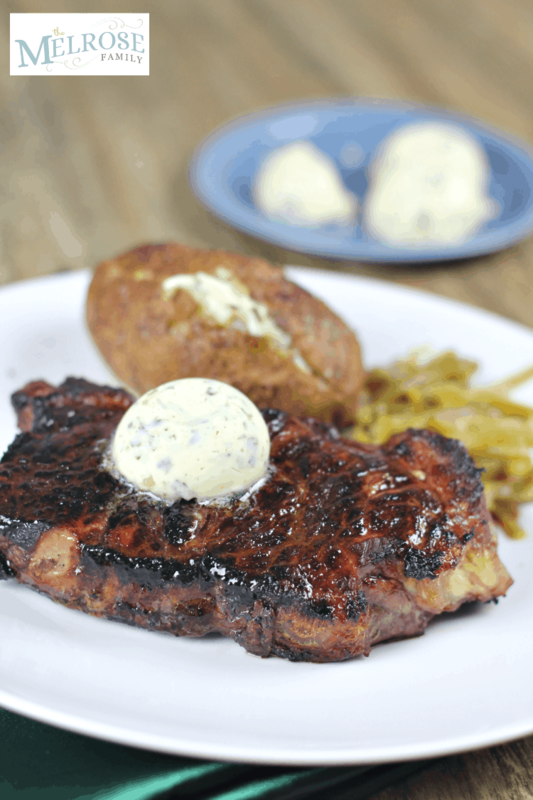 An easy herb butter for steak recipe that looks restaurant worthy. In a large bowl melt two sticks of butter in the microwave. Add the herbs and optional garlic to the butter. Pour the butter into the 6 wells of Herb Freezing Tray. Place in the freezer for an hour and then into the refrigerator for the remaining time. Let stand at room temperature for five to ten minutes before serving as a garnish. 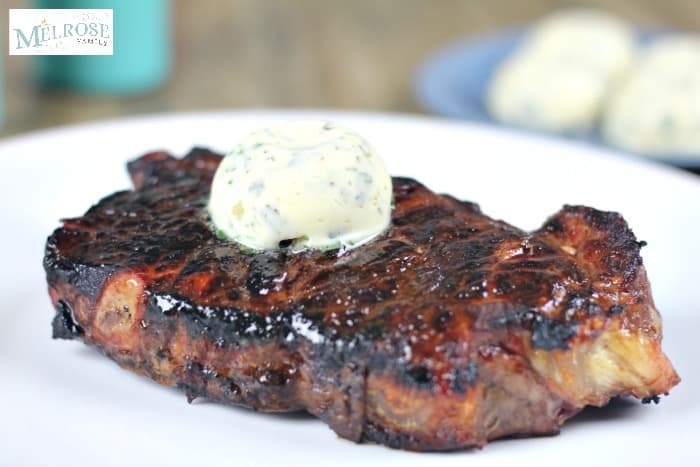 If you liked this Herb Butter for Steak recipe you might also like…. From left to right: Shallot Herb Compound Butter, Homemade Steak Fries & Best Ever Potato Salad.